My everyday job is not all about standing in front of class, writing at a whiteboard using my marker and slowly torturing my students to learn Math. Being a teacher is not only about teaching, it is about learning as well. Learning and finding better ways for the students to be able to understand the lesson easily and be able to apply it for the next lesson and so on. Also, without proper guidance a student cannot progress at all. No man is a island though, there should be always someone to lead and drive a person to his right way. For me, Amane Ayashiro kinda symbolizes my job. She’s the alpha-driver, the leader, the motivator and the pusher on her team. Without her, her team would fall into pieces. I think Amane Ayashiro doesn’t just symbolizes my job but also symbolizes me. The alpha-driver is me and the progress are my students and that pretty much tells how I love this anime adaptation even though the original material is from a card game. I’m hooked to the anime series and I want it to have another season but I don’t think that there would be enough materials to make one. Silver Link studios already made a very good job on the anime adaptation, everything now falls into the hands of the fans to bring sales and eventually hope for a season two. I don’t know I can’t tell but the manga is still young, the card game is young as well. It is good to take a peak on how the card game works though. Please bear in mind that the game is in Japanese, I know that you would like to play it more if it is in English. We’ll get to see if it gets translated to English if ever the anime gets good amount of sales. A second season? For me, it is a yes. 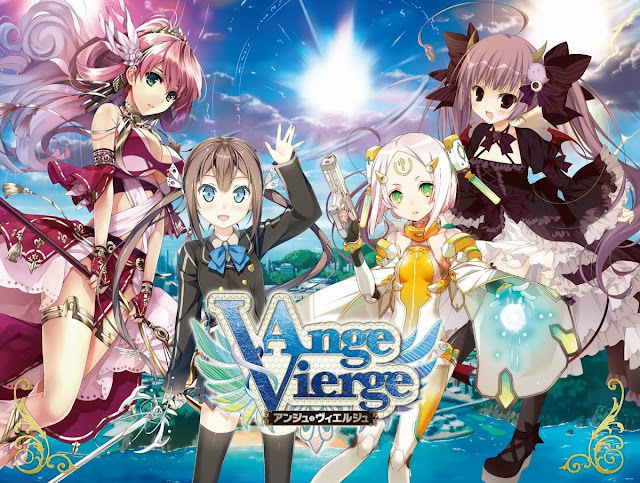 I would like this anime to have another one BUT I don’t think that it would be very soon as I think that SEGA would like to focus more on the game.